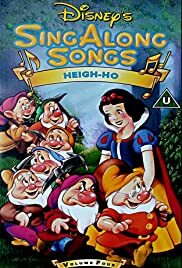 Join Professor Owl as he hosts the very first Sing-Along-Songs video with music from Snow White, Pinocchio, Lady and the Tramp, and more. A Halloween party at the haunted mansion in Disneyland with many songs to sing along. "Heigh-ho, heigh-ho, it's home from work we go..."